Details: I'm basically a travelling art studio for newbies! So this is an awesome art party for all. Everything you'll need will be set up and ready to go when you arrive. I'll walk you step-by-step through our painting on a 16x20in canvas. The paintings are intended for newbies and non-artists (So you can do it! For real. I'd even pinky swear to it). The painting should take about 2.5 hours (maybe a little more if you take your time), and while we're painting you can snack and chat and partake in some drinks (if that's your fancy)! 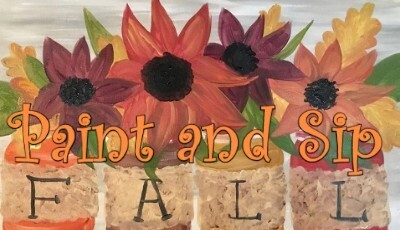 Now get your tickets, because I can't wait to paint with you! TICKETS: You must pre-pay to participate in this event!! Tickets must be purchased by 1pm on 3/10! Tickets are $30 and can be purchased via the link below. All the art materials you need will be provided. Please be sure to select and pay for the correct number of seats you'll need. ARRIVE AT: 2:30pm on March 10th to get settled in. WE WILL BEGIN PAINTING AT 3PM!